Scisnack | Do the oceans hide the key to eternal life? More than 70% of our planet is covered by water but we still know very little about the impressive aquatic world. My passion is zooplankton, small organisms that live in the surface waters of the oceans. Would you believe that in aquatic ecosystems there are organisms that appear to be able to ignore time and remain viable for centuries? Wouldn’t it be great if we could do the same? 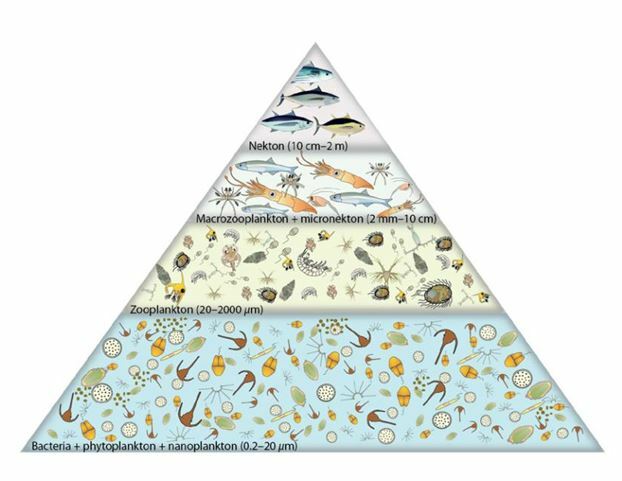 Most people are familiar with “phytoplankton”, the microscopic photosynthetic organisms that represent the base of the aquatic trophic pyramid. “Zooplankton”, however, are another important component of aquatic ecosystems. Their position in the food web is between the phytoplankton, on which they feed, and higher level consumers such as fish which in turn consume zooplankton (Figure 1). But apart from being an essential part of the ocean food chain, why are zooplankton important? Comparisons between different present-day aquatic bodies have shown that zooplankton can be useful indicators of ecological conditions, exhibiting clear responses to eutrophication as well as to the effects of climate change. This is mainly a result of their short life span, high species diversity, and different stress tolerances, but also because they are relatively easy and cost-effective to sample and to manipulate experimentally. Hard-shelled zooplankton species such as these belong to Cladocera group can be well preserved in aquatic sediments. Their remains can therefore provide fascinating and reliable indications of the biotic and abiotic conditions that prevailed during the lifetimes of former communities. Zooplankton can reproduce by sexual reproduction or by parthenogenesis; the method used can be affected by the season and, in particular, by environmental variations. As long as the environmental conditions are favorable the zooplankton species continue to reproduce parthenogenetically. This is mainly because parthenogenetic reproduction is very quick and a successful genotype can therefore be rapidly dispersed without having to wait for sexual reproduction to occur. Harsh environmental conditions induce a swift change over to sexual reproduction, in which haploid eggs are produced by meiosis. Following fertilization these haploid eggs form what we call “resting eggs” (Figure 3). 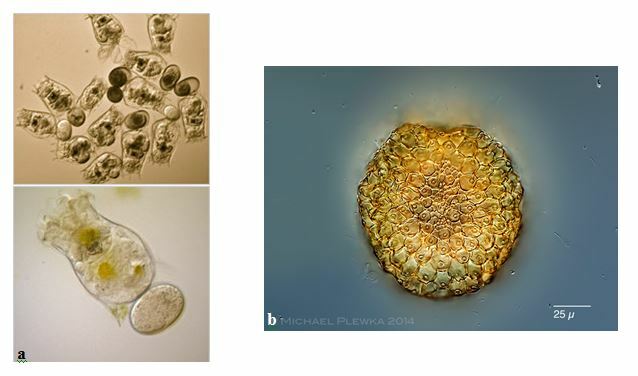 The population benefits from this meiotic recombination between different chromosomes, but why is the formation of these resting eggs so important for the aquatic ecosystems? After their formation resting eggs can either hatch out directly and produce offspring, or remain in sediments for decades or even centuries before hatching. In this way resting eggs are able to survive long periods of adverse environmental conditions such as periods of drought, periods of temperature and oxygen variation, or periods of adverse biological conditions including food limitation, predation, and competition. However, the most impressive thing is that they are able to survive in this way until favorable conditions are once again restored. Viable eggs can usually be found in the top 10 cm of sediments. A recently published paper reports that scientists managed to hatch an egg that had been dated as 700 years old. Modern molecular techniques that are based on the fact that DNA can remain intact for even longer periods are able to successfully recover information about the genetic structure of resting eggs from sediment samples that are up to 1600 years old. The ability of resting eggs to disperse widely is another distinctive feature of their life cycles. Genetic studies on combined results of population distribution and bird migration have confirmed that zooplankton species use birds as carriers in order to promote their dispersal. Some zooplankton resting eggs can remain viable even after passing through the digestive system of fish. However, the most significant feature of these resting eggs is that they can also promote the coexistence of competing species preventing extinction, by favoring different species under different environmental conditions. This storage-effect process can therefore be a powerful mechanism for maintaining both species diversity within communities, and genetic diversity within populations. Zooplankton have therefore developed a unique way of coping with adverse environmental conditions. Sexually produced genetically diverse resting eggs can apparently survive at least 700 years and then hatch out when conditions once again become favorable. Rapid asexual reproduction is then able to make the most of the new conditions. I studied Biology in Aristotle University of Thessaloniki in Greece. 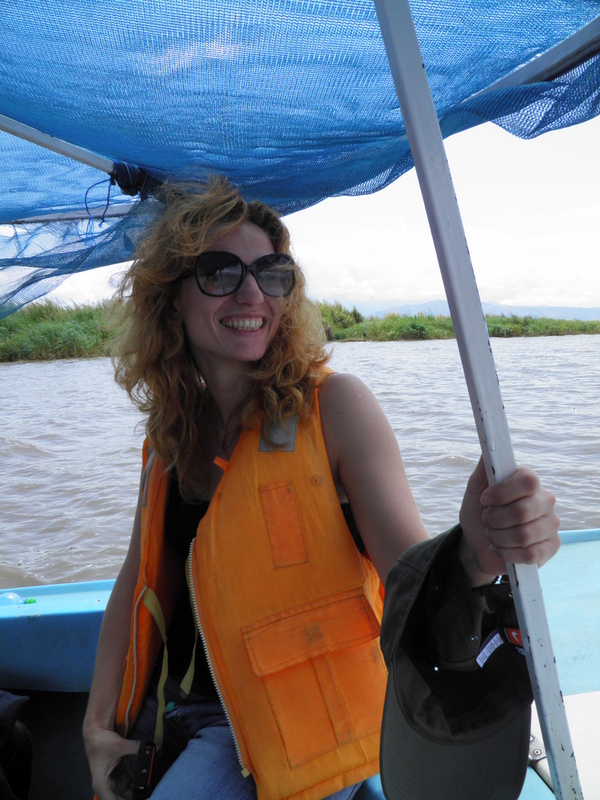 My Master studies focused on Hydrobiology and Aquaculture and performed at the same University. In 2015 I moved in Germany, Berlin to start my PhD in Potsdam University in the field of evolutionary biology. I work with freshwater aquatic Rotifers and I try to identify signatures of genetic adaptation and responses to environmental change. Tagged East Africa Summer School, parthenogenesis, resting eggs, zooplankton.